We use only the purest and finest ingredients to help you support a better lifestyle and perform at your best. 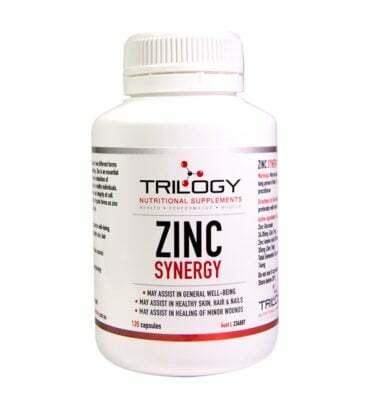 Our Trilogy Zinc Capsules features a combination of two different forms of zinc to assist in maintaining health and wellbeing. Zinc is an essential trace element and it plays an important role in the metabolism of proteins, carbohydrates, lipids and nucleic acids in healthy individuals. Zinc is also crucial for maintaining the structure and integrity of cell membranes and plays a role in immune function. Organic forms as zinc glycinate provide greater bioavailability to the body. 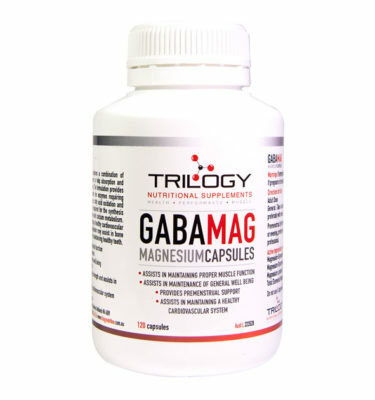 Why Choose Trilogy Nutritional Supplements? We use only the purest and finest ingredients possible. Our products contain no GMO (Genetically Modified Organisms) and are all Gluten Free. Finally, they do not contain impure ingredients, added fillers or harmful chemicals or sweeteners. All of our products are evidence demonstrated and support scientific studies to back up all claims of improving your health. Our Company ensures strictest educational standards to improve further research and all Trilogy products hold evidence to substantiate claims. 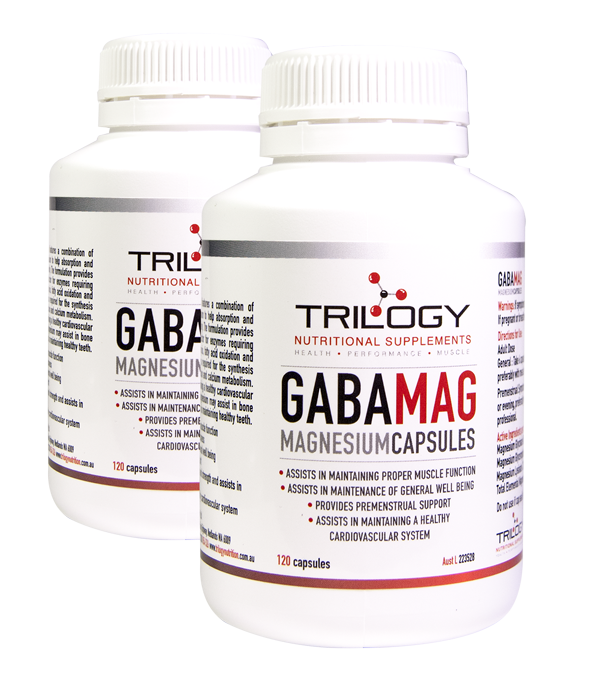 Trilogy has chosen to seek a higher standard of regulation by being certified by Australia’s Therapeutic Goods Administration (TGA). The TGA is one of the most strict and exacting regulatory regimes in the world. 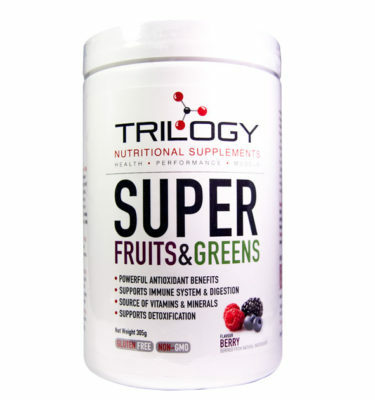 Welcome to Trilogy Nutritional Supplements! 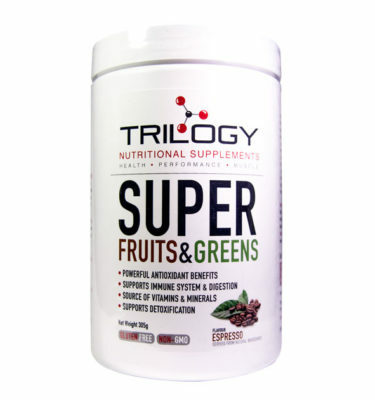 Trilogy Nutritional Supplements offer the best vitamins and protein powders in Australia. All of our vitamins and protein powders are certified AUSTL products. This means they are listed according to TGA requirements. Australia’s Therapeutic Goods administration has the strictest regulatory standards in the World. Our Protein powders and Superfoods products are manufactured in accordance with Quality and HACCP Food Management System. They also comply with FSANZ Guidelines to ensure the highest safety. 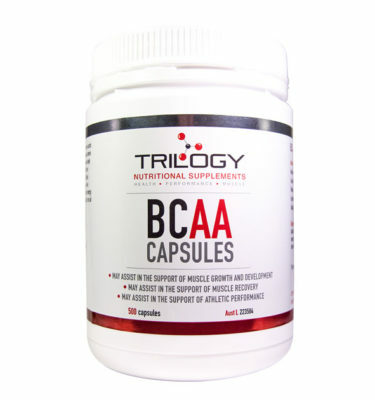 We are proud to offer a variety of vitamins including Zinc supplements, Magnesium supplements and BCAA supplements. 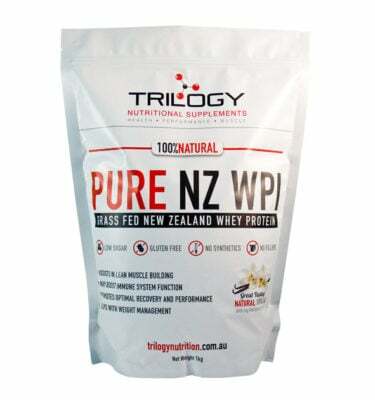 As well as our vitamins range, Trilogy Nutritional Supplements also offers the best Protein Powders in Australia. 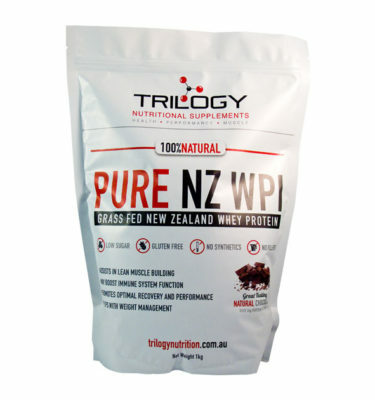 Our whey protein powder is available in both chocolate and vanilla flavours. Our Protein Powders are 100% natural with no added fillers. 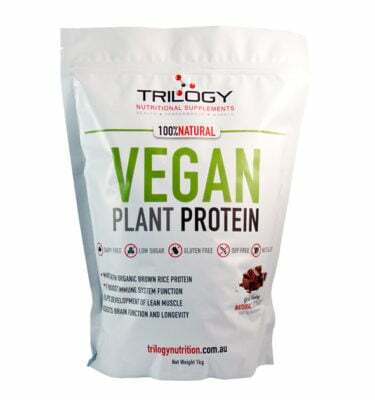 We also offer a plant based protein powder in chocolate. Finally, to improve gut health and detoxification we have our Super Fruits and Greens range. 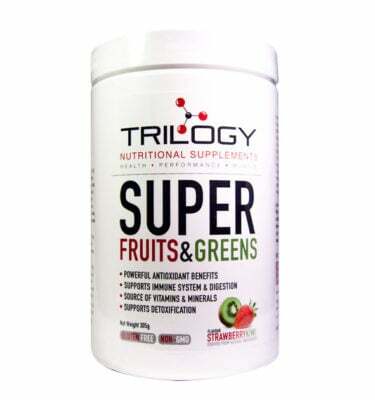 The Super Fruits and Greens formula offers a daily source of vitamins and minerals. Containing the antioxidant power of 20+ servings of fruit and vegetables. 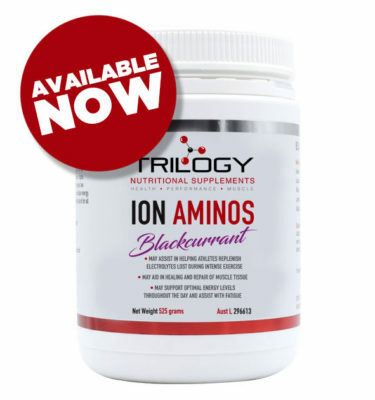 Check out Australia’s best vitamins and protein powders online here at Trilogy Nutritional Supplements. Our monthly newsletter shares lifestyle and nutritional advice to ensure your body is operating at its best! Are you deficient in any vitamins? Get 10% off your first Trilogy purchase when you sign up.